The AHR (Air-Conditioning, Heating, and Refrigeration) exposition is held alongside the ASHRAE Winter Conference. The conference is a bi-annual engineering event at which the work of ASHRAE is done. ASHRAE (American Society of Heating, Refrigeration, and Air-Conditioning Engineers) is responsible for writing and updating the standards around construction, safety, and energy efficiency within the industry. The ASHRAE Innovation Award is a highly-coveted engineering design award given in ten categories for design excellence, innovation, and market impact. This year Arctic won finalist in two categories, cooling and heating. “We are very pleased to have been recognized from among hundreds of companies that had entered,” said Changiz Tolouee, Arctic Chiller Group’s Vice President of Engineering. The products that won were the SuperMod all variable speed chiller with the option for heat recovery in the heating category and the ACA air-cooled and ACW water-cooled packaged magnetic bearing chillers with the Arctic Boost option in the cooling category. This option gives an already industry-leading, energy-efficient, chiller the capability to run in an extended range of conditions that were unachievable before. 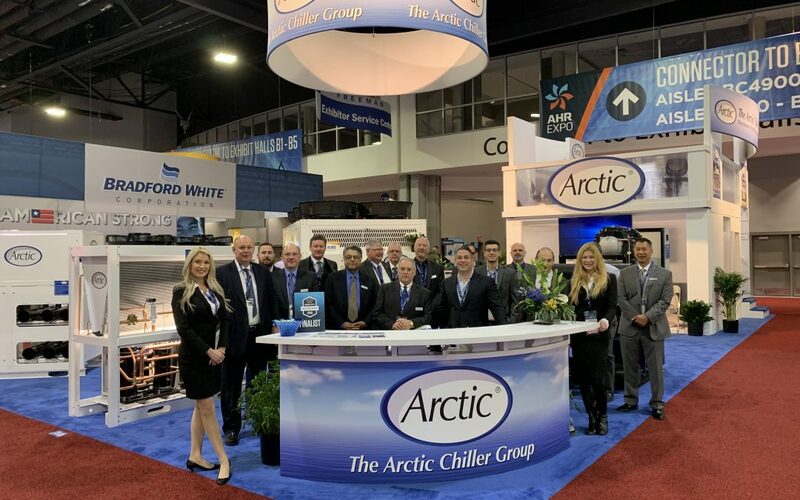 “The extended range makes these chillers particularly attractive to applications like data centers and chilled beams as well as any application in low ambient areas of the world,” said Patrick Legare, Arctic Chiller Group Senior Vice President. 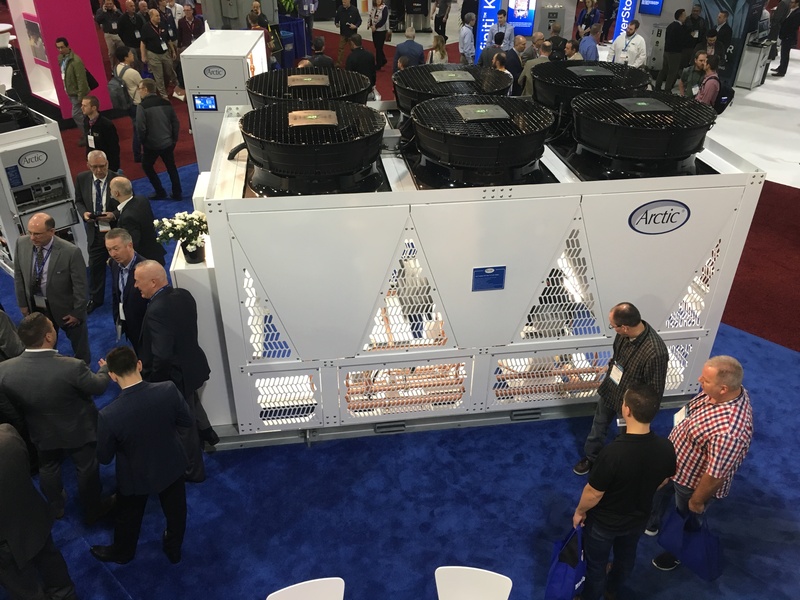 The PolyTherm, which is the new 6-pipe, modular, simultaneous chiller/heater design featuring three independent water loops and heat exchangers, was also warmly received at the show. 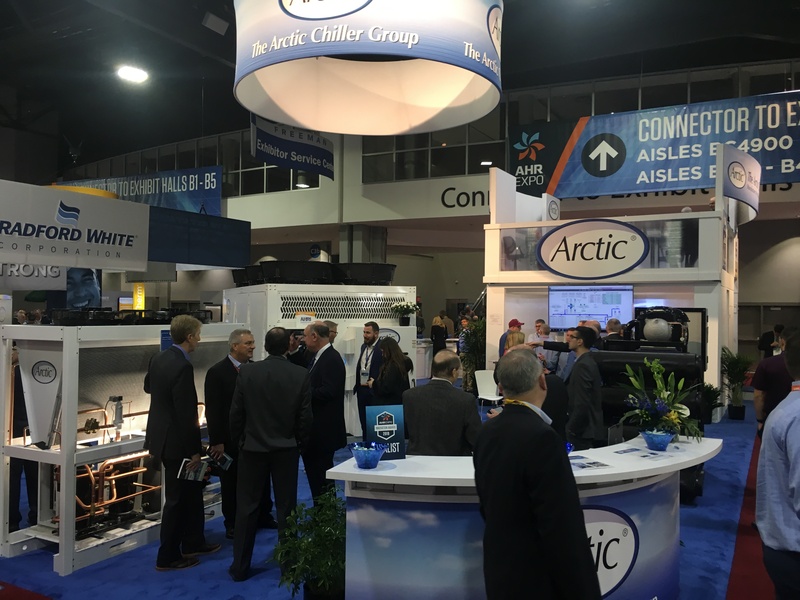 “We were very happy with the traffic quantity and quality throughout the show,” said Murray Weightman, Arctic Chiller Group Vice President of Sales. Arctic also uses the show to recognize their representatives at a dinner gathering before the show starts. “We had a tremendous growth year and our network of top tier representatives were the reason. This awards dinner is our way of saying ‘Thank You’,” said Angelo Troiano, Arctic Chiller Group President and CEO.